Everyone shall conduct themselves honourably and according to the rules. Default format and the general concept of bag tag play is head-to-head or within a playing group (see rule 2-9). Special circumstances including group challenges are acceptable so long as there is agreement amongst all tag holders present. Tag holders have the right to abstain from group challenges. PDGA rules apply. Discretionary rules including the 2 meter rule are the decision of the lower tag holder. Each bag tag holder must have their tag visible & on their bag at all times. A player is required to have their bag tag in their possession to play a bag tag match. The higher Bag Tag challenges the lower Bag Tag. Challenges can be by phone, e-mail, in person, or through the Nanaimo Disc Golf Club Facebook group. Once a challenge is made, players must reach a mutually agreeable meeting time within a two week time frame. The challenged player must not play other challenges until the set match has been played. If the challenge is not met within the two week window, the lower tag must forfeit their tag to the challenger. The challenged player holds authority to pick the course, tees and format. If the challenger wins the round, the tags are exchanged. Ties default to the holder of the lower Bag Tag, unless ALL players agree before the round starts that play-off hole(s) will break ties. Back-to-back challenges are optional. The holder of the lower tag holds the right to play an interim match before a rematch. Incomplete round: If a player does not complete a Bag Tag challenge round, the exiting player must trade tags with the player with the highest tag number involved in the match. If play is stopped by all players before the round is complete, no tags are exchanged. This could be due to hazardous weather, physical emergency or mutual agreement. Multiple people at the same course, at the same time, may have a group challenge with 5 or less playing per group. If more than 5 are present, the group must split into cards of at least 3 and play proceeds as if it were a tournament/league. Challenges during official tournament play are optional. Bag Tags cost $10. 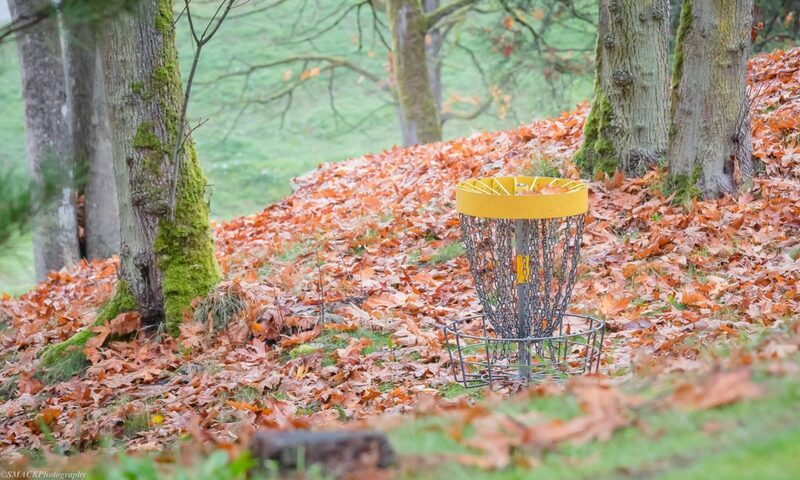 Proceeds fund the annual NDGC club championships and the Bowen Park Disc Golf Course. Initial distribution of Bag Tags will occur at the NDGC AGM by random draw. Remaining tags will be sold sequentially. The regular season will consist of many challenges and tags changing hands. The Bag Tag season will conclude with a ladder tournament open to all tag holders. The Bag Tag finals will be a match play format with the last man standing holding the #1 tag. When a tag is lost, the number is dropped from the standings. Members can purchase a new tag (if available) for $10.00 and will receive the lowest numbered tag available. Given the comprehensive rules, there shouldn’t be disputes. In the very unlikely event of a dispute, each party shall contact Matt MacDonald for a final ruling. Have a link you'd like promoted?